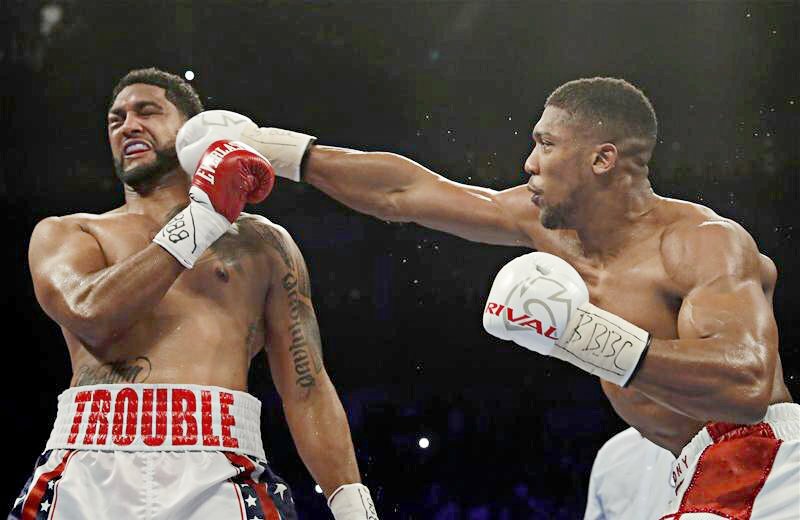 In his longest ever fight, IBF heavyweight champion Anthony Joshua (17-0, 17KO) showcased his superior technical ability to claim a seventh-round stoppage over the tough, gutsy and spirited challenger Dominic Breazeale (17-1, 15KO). In doing so, the 26-year old made his first successful title defense which he won with an effortless triumph over former champion Charles Martin in April. A patient, composed, precise Joshua won every single round in a one-sided contest that was halted by Howard Foster in the seventh round following two knockdowns - the first in which Joshua landed a three punch combination - before flooring Breazeale for the second time with a flurry of straight right hands and left hooks. Subsequent to that, the formerly unbeaten Breazeale lived up to his word and absorbed everything the champion threw for the entirely of the seven rounds, excluding a brief shake of the legs in the early rounds. While Breazeale showed incredible toughness, he offered zero offense during the early rounds and the gap in technical ability was hugely apparent. Lack of head movement ensured it was target practice for Joshua who continuously teed off, and regularly showed punch variety in close range with sharp uppercuts. Anticipation grew each time Joshua landed clean as a knockout seemed imminent, but despite failing to evade shots the game Breazeale put the crowd on hold as he once again found a way to survive. As time progressed in the unexpected lengthy contest, the titleholder ticked another box of doubt: his stamina. Although he landed mere body shots in multiple exchanges, Breazeale lacked the offensive capability required to truly take Joshua out of his comfort zone and sap any energy from his tank. He survived seven one-sided rounds, however Joshua never left second gear in a routine title defence. Anthony Joshua improves to (17-0, 17KO) and is likely to fight his IBF mandatory challenger Joseph Parker (19-0, 16KO) after he takes a well-earned rest from boxing. Dominic Breazeale loses his undefeated record and falls to (17-1, 15KO) and remains in the Top 10 IBF rankings. Judging by the toughness and resilience he showed in the heat of battle, he can definitely come again.